Pasta, pizza, gelato? 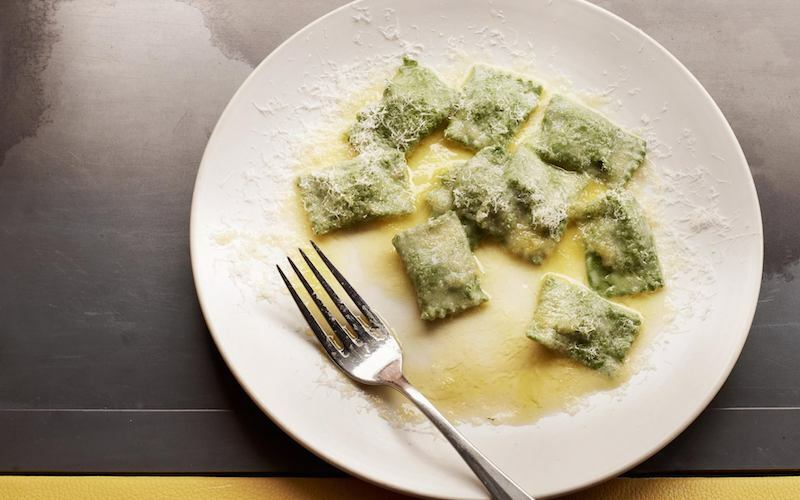 We’ve rounded up the best Italian restaurants in London that will leave you screaming MAMA MIA. 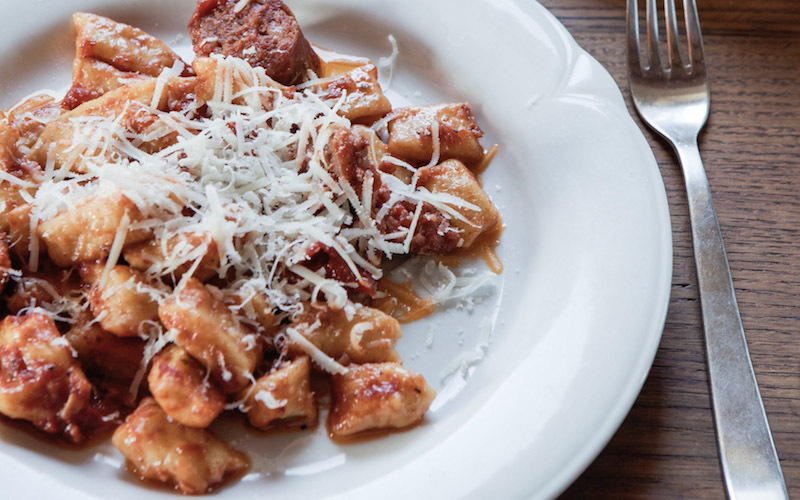 Bocca Di Lupo might be an oldie but it’s a goodie. The Soho restaurant serves up a mix of small and large plates with menus changing everyday, and a banging selection of homemade gelati. With a solid wine list and buzzy atmosphere, it’s always a good night at Bocca Di Lupo. 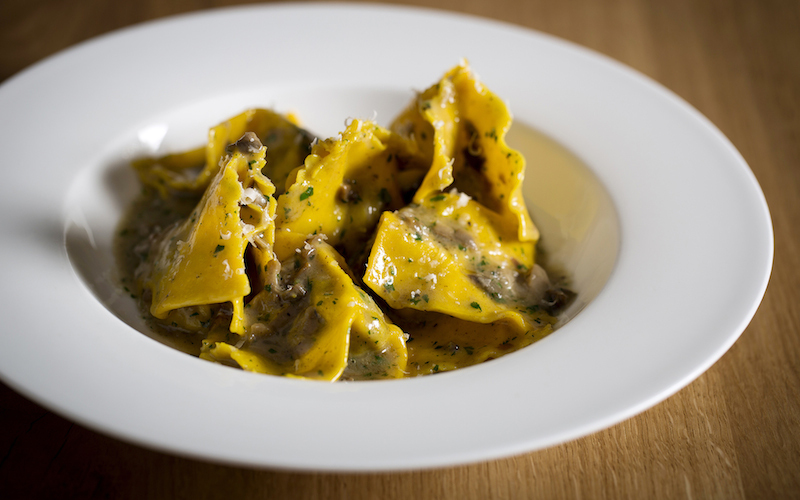 Padella serves up hand rolled pasta dishes in Borough Market. 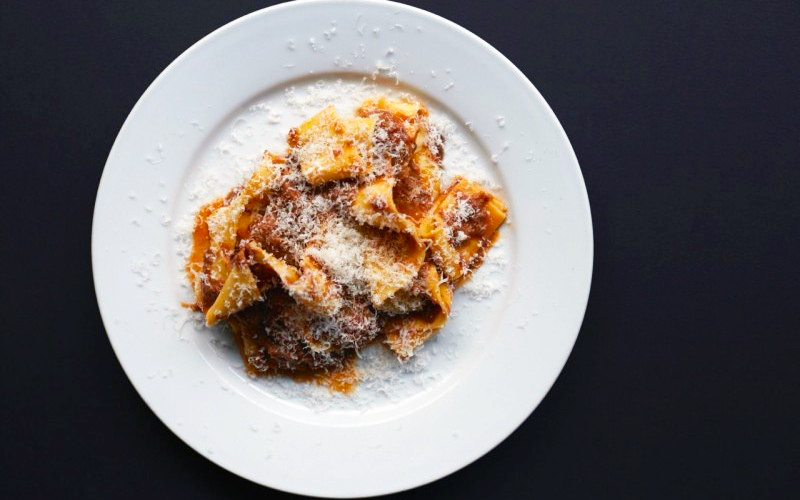 The casual spot has a small menu, but it definitely delivers and THAT pappardelle with 8-hour Dexter beef shin ragu is the absolute dream. All in all Padella is great value grub, made with love. 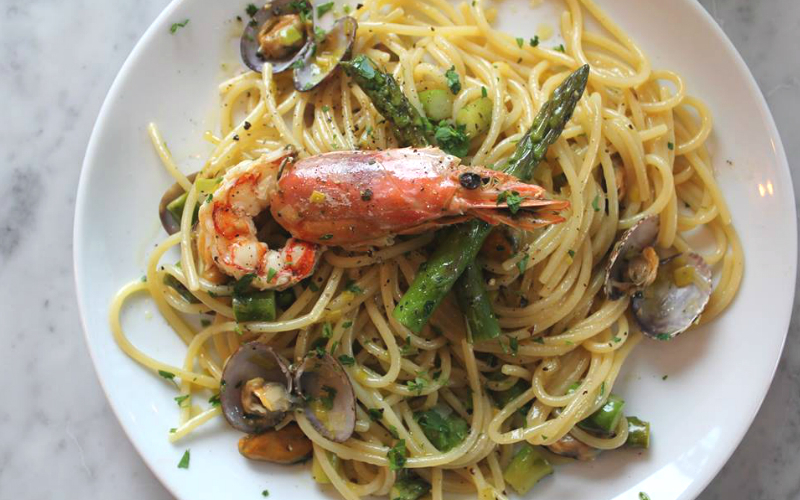 Capricci is an Italian restaurant and deli that’s all about authentic Italian ingredients from artisan producers.The menu changes daily, but if you see THAT seafood spaghetti on the menu order it! Desserts aren’t as exciting, but you’ll probably fill up on that huge howl of pasta anyway. Margot is relatively new, but it has the feeling of a proper classic. Serving up classic Italian fare, from cured meats, carpaccio and tartare dishes to salads, homemade pasta and a range of meat and fish main courses, it really ticks all the boxes. Grub doesn’t come in cheap, but it’s SO worth it. Francesco Mazzei keeps things nice and simple with a menu of fresh pastas, pizzas and some killer sides. MUST orders include the zucchini fritti, seafood fettuccine topped with mussels, squid, and scallops and bergamont baba. Radici is one of our fave spots in Islington and defo worth checking out. Theo Randall has been at The Intercontinental for over ten years, but we’re still not bored of their incredible pasta dishes. Their slow cooked pigeon agnolotti and the beef tagliatelle are defo worth digging in to and don’t miss out on THAT lemon tart for dessert. Palatino is an Italian restaurant inspired by the food of Rome and there’s not a pizza insight. The chicken, pancetta and pistachio meatballs with polenta and the nettle agnolotti with ricotta are both firm faves, and they even do a Campari & orange ice gelato. YUM. Osteria is the brainchild of chef Anthony Demetre. The menu is split up into starters, pastas and mains, and whatever you do save room for dessert as THAT panna cotta with Champagne rhubarb is an absolute winner. They also do a pretty good pre-theatre early evening menu coming in at £26 for three courses; perfect if you’re going to see a show at The Barbican. 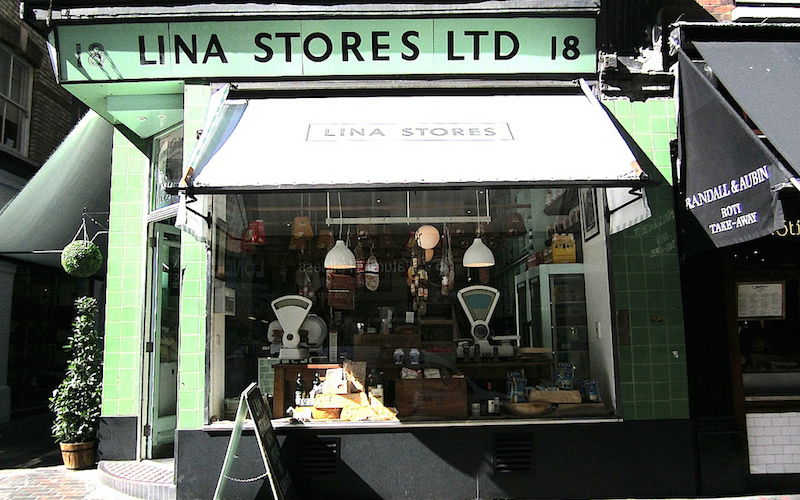 Lina Stores is a bit of a Soho veteran. They’ve been making fresh pasta on the site for over 70 years and the Italian Deli is still going strong. They import and sell authentic Italian produce, and continue to make pasta, cakes, hot dishes and sandwiches on site. It’s some of the best pasta around, oh and they do some mighty fine coffee too! Italian beef and tuna specialists Macellaio RC has got some serious BEEF. The star of the show is the Fiorentina T-Bone steak, big enough to have David Attenborough speak a word or two about it, and a with a wine list worth wining about Macellaio RC puts on one hell of a show.